Sean Webster is the guitarist, singer / songwriter, frontman extraordinaire of his own self named band, The Sean Webster band. Sean has been on the music scene for 25 years, which has seen him play venues and festivals across Europe, The U.S.A and Australia. He has performed on live TV in Texas, recorded live sessions for BBC radio 2, and had airplay across the whole world. Eric Clapton himself has a copy of Sean’s second album “ If Only “ which interested Eric’s management enough to ask Sean to support Eric on a stadium tour . Unfortunately last minute, Robert Cray took Sean’s place. Over the years Sean has had some great musicians in his band but now his recent line up change gives Sean his biggest grin yet. On Drums is the super talented Canadian born, Joel Purkess who toured for many years with the fantastic Mason Racks Band. On Bass is the ingenious talent of Greg Smith. Having studied at the prestigious Bass Tech in London, Greg spent most of his adult life teaching music but for the last few years the call of touring proved too much to resist. For the first time, Sean is now joined on Hammond organ by the creative talent of Dutchman Colly Franssen. Colly has been in music forever having played for many bands, the most recently notable being King Mo. Sean has just finished recording his 5th studio album which is due for release early next year and promises a new sound. Having already secured slots at some of the most renowned festivals in Europe for 2017, Sean plans to build on his already impressive fan base, and venture into new territories. Make sure you see them live soon. 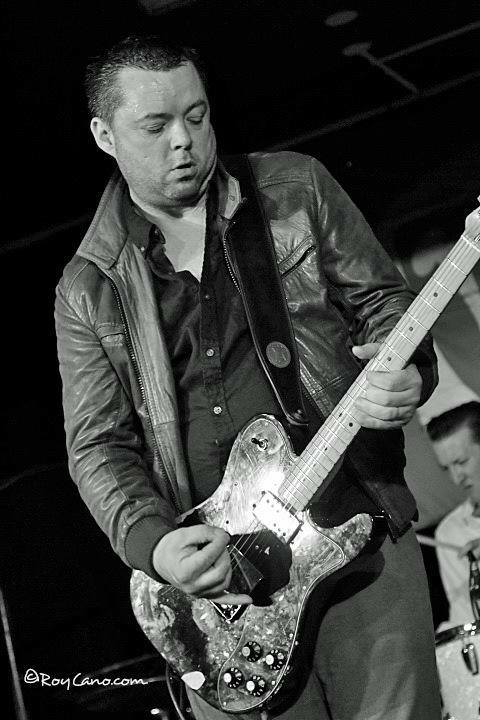 In the last 18 months Sean has joined forces with the music agency www.bluesther.nl who take care of all of the bookings . This partnership is creating much work for both parties! !